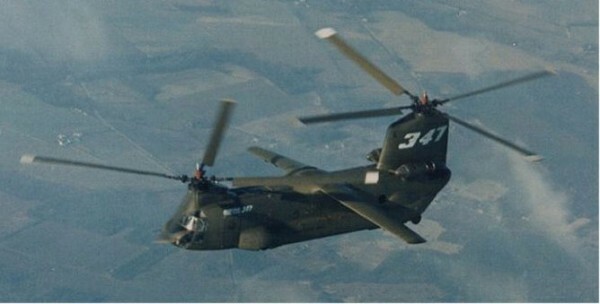 No this isn't a photoshop, this really is a CH-47 Chinook helicopter with a massive set of wings. 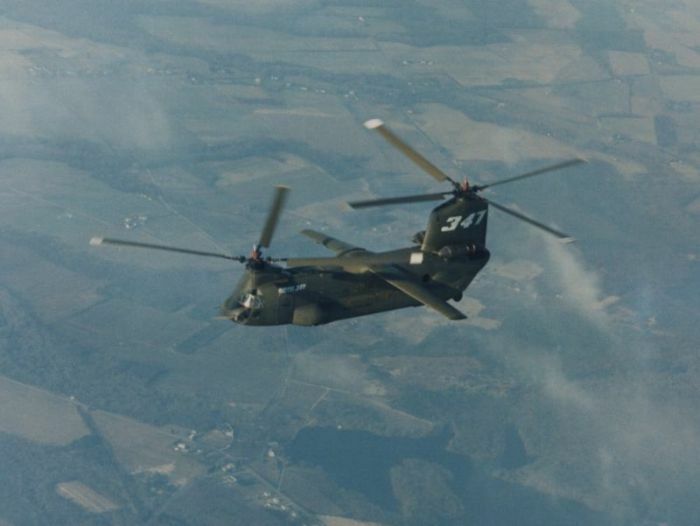 The aircraft was a prototype developed for the U.S. Army to test various ideas and components for future heavy lift helicopters. Most obvious is the addition of the large set of hydraulic wings which could be rotated through 90 degrees. The wings were put in their vertical position for hovering and low speed maneuvers. At higher speed the wings provided additional lift, reducing fuel consumption, and they also gave the aircraft more stable flight characteristics. The wings were fully removable, and the aircraft was extensively tested both with and without them fitted. 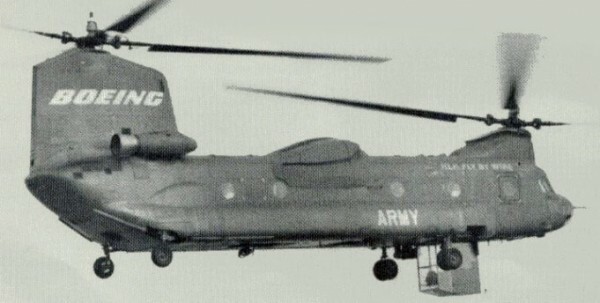 However it wasn't just the extra wings which set the BV-347 apart from the standard Chinook. It had a lengthened fuselage, retractable landing gear, longer rotor blades, and a higher aft pylon. 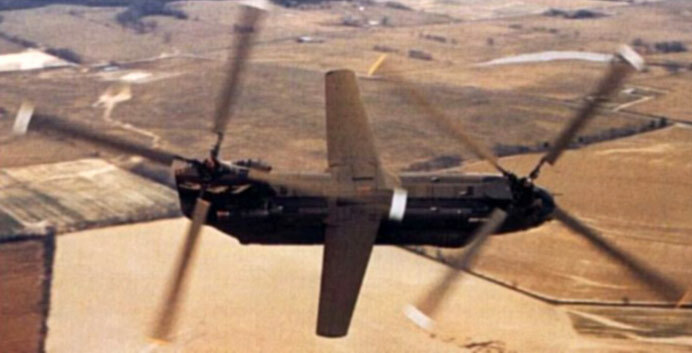 But perhaps the BV-347's most bizarre modification was a retractable gondola which was fitted within the helicopter's fuselage. This compartment was equipped with a set of flight controls and could be lowered down allowing a third pilot to fly the aircraft while facing towards the rear! Amazingly, despite all its oddities, the Boeing BV-347 was largely a success. Any issues with the design were quickly rectifed by the development engineers. 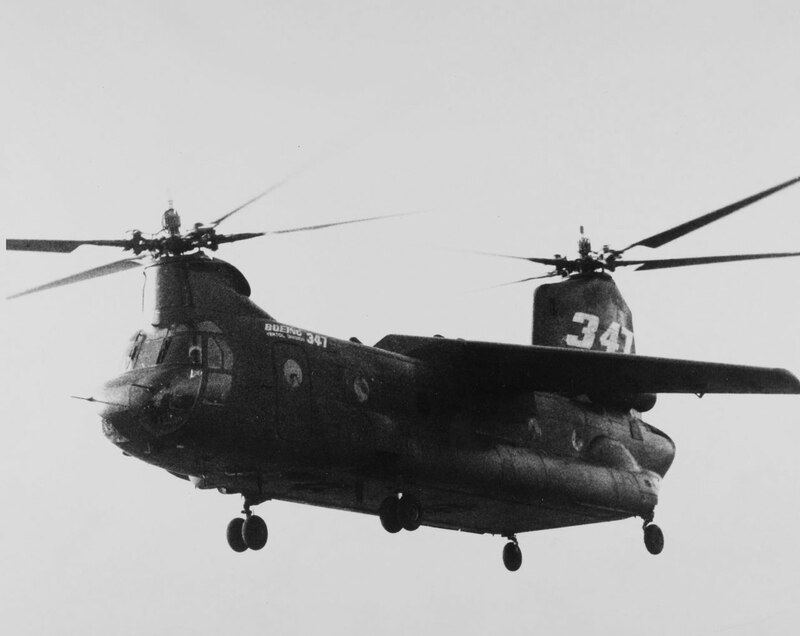 It displayed outstanding flight characteristics, having better flight and hover performance than the standard CH-47. Pilot workload was reduced due to the more stable, level flight attitude thanks to the wings. And even cockpit noise and vibration was reduced. The Boeing BV-347 managed to accrue 734 hours in the air from 1970 to its retirement in 1972. Yet despite its outstanding performance it never made it to production. 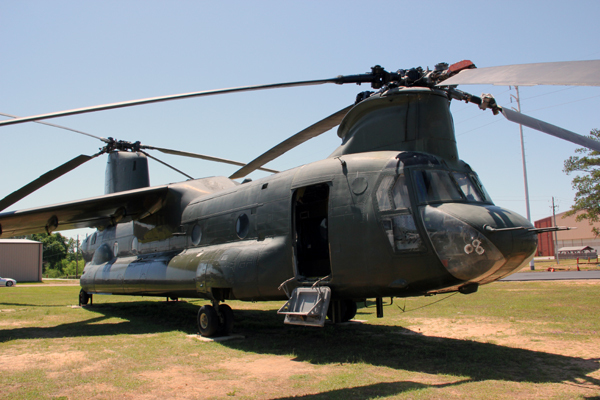 The aircraft still survives to this day and is on display at Fort Rucker U.S. Army Aviation Museum, Alabama.